(Hollywood, CA) Award-winning composer STEVEN BRAMSON scores the indie-thriller DON MCKAY, directed by Jake Goldberger. The film stars Thomas Haden Church and Elisabeth Shue. Bramson created a diverse score that sets the musical tone of the suspenseful love story. The score ranges from restrained, featuring a blend of acoustic and synthetic instruments often used in unconventional ways that highlight the mystery, to pulsating which accentuate the surprises that unfold. 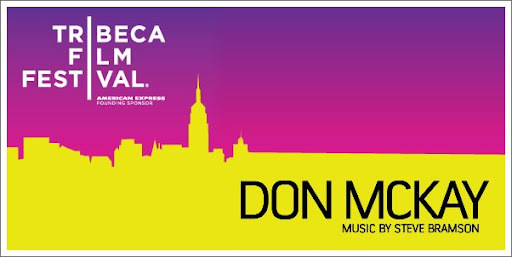 DON MCKAY premieres at the Tribeca Film Festival Friday, April 24 at 6:00pm at the BMCC Tribeca PACC. Other screenings: April 26 at 12:30pm at the AMC Village VII 3 and April 29 at 10:00pm at the AMC Village VII 2. DON MCKAY is the story of a high school janitor who leaves his hometown after a tragedy and returns 25 years later to rekindle a romance with his old flame, who is dying of cancer. This homecoming brings the janitor, Don McKay (Thomas Haden Church) more than he bargains. Steve Bramson’s scoring accomplishments encompass orchestral and electronic work for film, television, concert as well as amusement rides. He scored weekly with a live orchestra over 200 episodes for the dramatic series JAG which ran for ten seasons. That relationship led to episodes of NCIS. Other projects include the critically acclaimed series YOUNG INDIANA JONES, THE NINE and JOURNEYMAN. He is well-versed outside of the realm of drama which is evident by his scores to the animated children’s film SCOOBY DOO ON ZOMBIE ISLAND and Disney’s TIGER CRUISE. Bramson’s diverse credits include, IN ENEMY HANDS and the musical SHIMMY. His classical training led to a commission by legendary trumpeter Jon Lewis to write a trumpet concerto for orchestra. Bramson also created the music for the ride Space Mountain at EuroDisney in Paris which he recorded with a 55-piece orchestra.